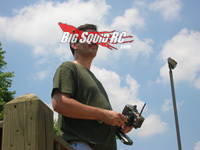 ASK Cubby, 07.31.2014, Version- More of Your Letters, More of my Nonsense « Big Squid RC – RC Car and Truck News, Reviews, Videos, and More! What’s the deal with the Vaterra Halix build? You left me hanging. I was following that build step by step (although I installed the Vaterra CVDs instead of the MIPs.) I figured you guys had gotten busy with the trade show and had put the build on hold, but that’s well in the past. Is the Halix build going to be finished? In addition to the shocks, tires, and CVDs, I installed Robinson Racing’s new Halix Slipper unit. There was a DRAMATIC difference! I’ve ordered another one to install on my Vaterra Raptor. The last piece to complete my Halix is a crazy ESC/Motor. I’d really like your guys’ input on that and any gearing changes if need be. Cubby- Yo hey Dave, shoot us your snail mail so we can get ya a BSRC sticker pack for that Halix of yours. What’s the dealio with our Vaterra Halix build? Yes, more is still in the works. And yes, we’ve just been crazy slammed around the office. I’ll crack some whips around here and see if I can get someone to bust out some more articles on the Halix. We have been driving it hard (read- abusing it) and have had very few issues with it after some simple mods. We ran it last weekend at a big bash in the freestyle contest and once again it came home in one piece. We have slicked off a few of the stock 48 pitch spur gears though, the Robinson slipper you installed converts over to 32 pitch to take more of a beating. “big fan of your site. quick question for you sir. 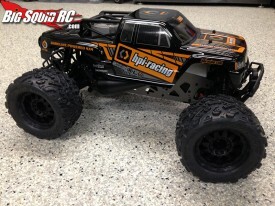 Here is a pic of someones HPI XL octane. Any chance you can tell me the company that makes those exact rims and also the tires for this car??? Love the way it looks and wish to purchase. Cubby- Hey now Johnny G, thanks for the email. That pic you attached was from one of the first consumers on the planet to get the HPI Savage Octane, David F. And yes, both you and David have good taste in wheels/tires. The ones in the picture are from the good guys over at Pro-Line. 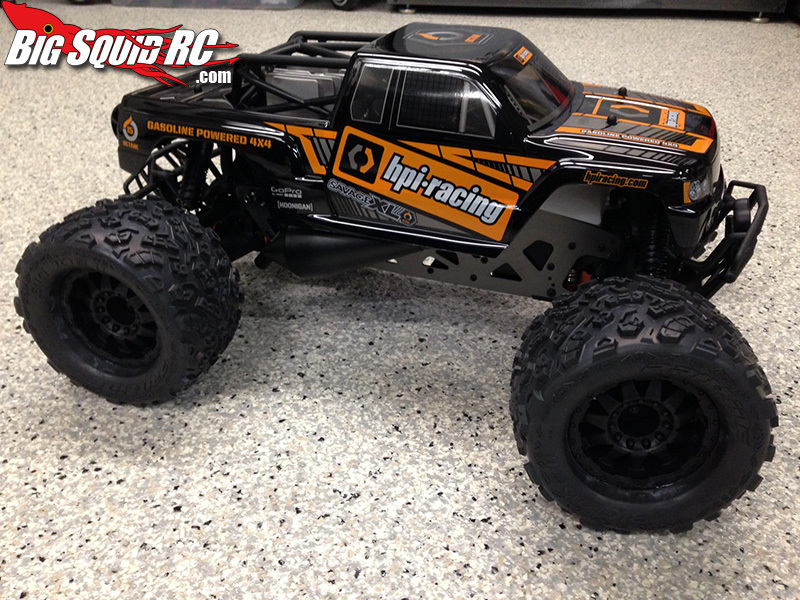 The tires are Big Joe IIs mounted up on F-11 3.8″ wheels (find more info Right Here). Expect a set of four pre-mounts to set ya back around 90 clams. We’ve run that wheel/tire combo a lot on various monster trucks and it’s a primo set-up for when you run on multiple surfaces like grass, then asphalt, then dirt. You have made it to the end of yet another ASK Cubby. Why not submit your own question/rant/meltdown/resume? The email addy you want is Cubby at BigSquidRC.com. I will be picking a “letter of the month” winner next week, so get to peck’n at that keyboard of yours.